I have been planning to make Apple Crumble or any fruit crumble from a very long time but always made something else instead. It can be prepared using fresh fruits or frozen fruits, Raw fruits or steamed fruits or poached fruits or cooked fruits. 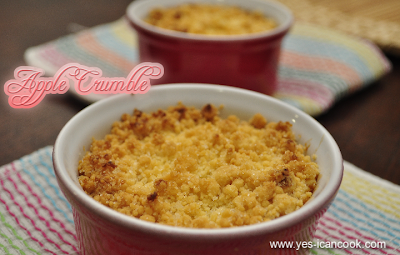 When I once again saw this recipe while blog hopping I decided to give it a try. So simple and so easy with very few ingredients it is a great snack and a tasty dessert. I steamed the apple to make the crumble. 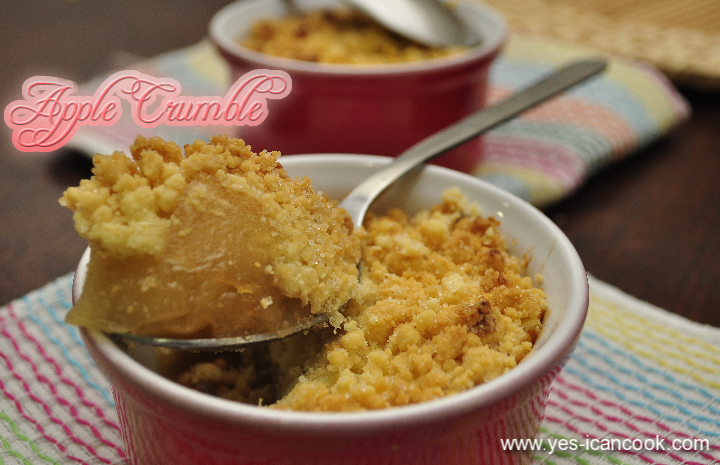 I loved the apple crumble but my husband was not too fond of it. 1. 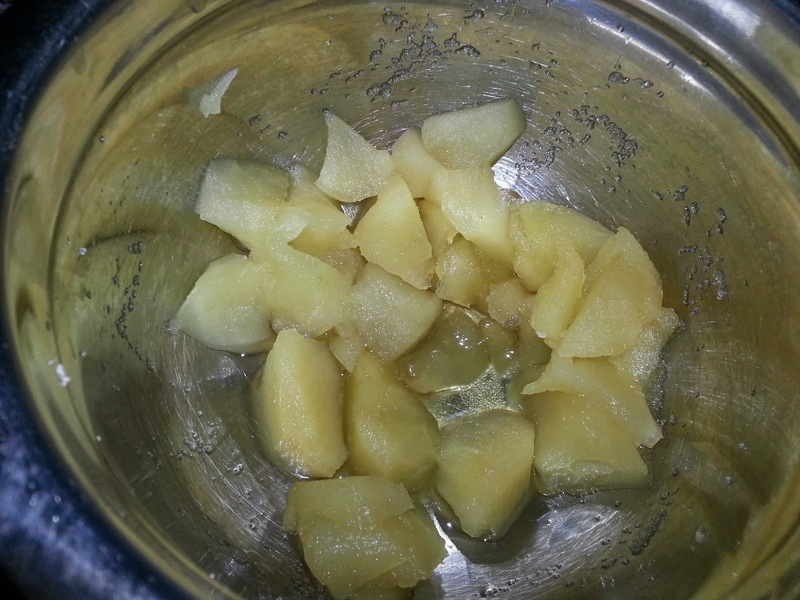 Steam the apple slices and let them cool down. 2. Mash them slightly with the back of a spoon. 3. Add the castor sugar and mix well. Keep aside. 5. In a mixing bowl add the all purpose flour. 6. 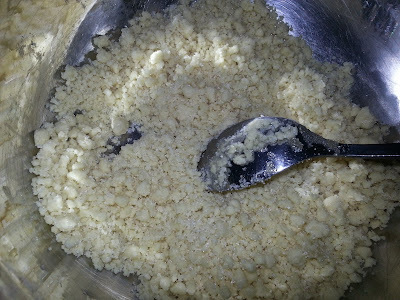 Cut cold butter into all purpose flour into very small pieces using 2 knives. 7. 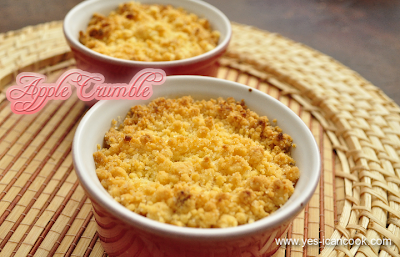 With your finger tips mix the flour with the butter till it forms a crumble. 8. Add the sugar and combine with a spoon. 9. 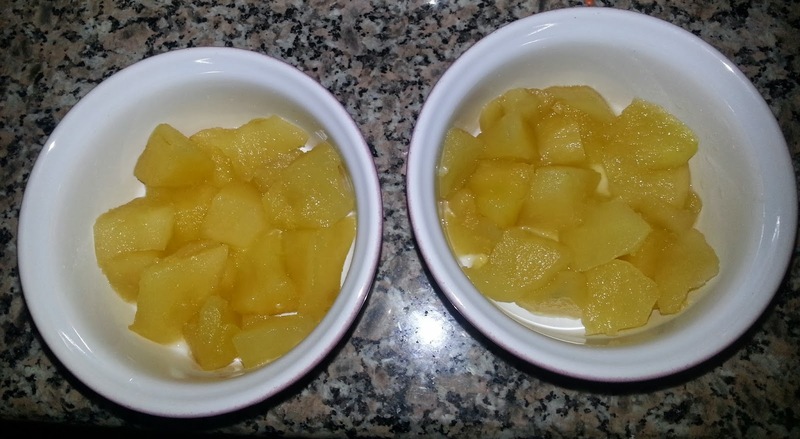 Take 2 ramekins and place the apples by dividing equally between the 2 ramekins. 10. Add the crumble by dividing equally between the 2 ramekins. 11. Place the ramekins in a baking tray or cookie sheet. Bake in the oven for 15-25 minutes depending on your oven till the top turns golden. It took 18 minutes in my oven. 12. 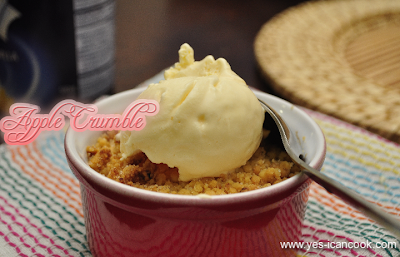 Serve warm as is or topped with custard, whipped cream, cream or ice cream. I served with Vanilla Ice Cream.